Is your window not staying up or rolling up? Does it fall down? Can you hear the motor run when you try to roll the window up or down and nothing happens? Then more than likely your window regulator is bad. This is an OEM Right Rear (Passenger side) Window Regulator for all B6-B7 A4s, S4s and RS4. 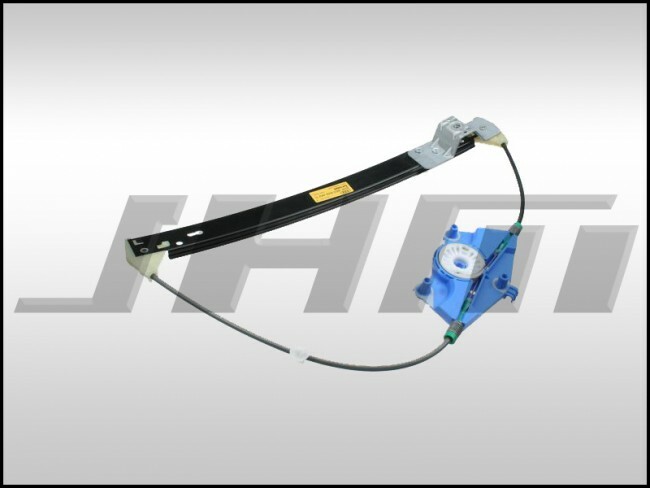 This is the complete window regulator only; without the motor.